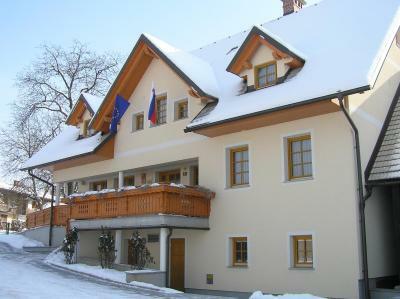 Lock in a great price for Turizem Loka Bed and Breakfast – rated 9.6 by recent guests! Staff are kind, polite, knowledgeable and helpful. The hostess especially. She was so friendly and very competent. She even made us a cappuccino on arrival. |She was very helpful getting us oriented and we even found that we could quite easily take a bus to Ljubljana. The breakfast was great. The parking was good. Oh yes and a rarity on our travels in Europe we had air conditioning in our room. There was a fridge in our room and a very modern TV. We had room 4. I include a picture with the view from the room. The place was warm, welcoming and the staff was so nice and kind! The rooms were clean, the breakfast was good and fresh, we enjoy every moment in this property and will be happy to get back. I don't think I can add a lot to the other reviews. The host is someone that really knows her job very well and does it with a passion. Comfortable from all points of view. The hostess was extremely nice. It was a duplex apartment and the bed rooms were upstairs which was not comfortable for us as we are seniors. She offered us another room next door with no extra charge as she wanted us to be satisfied and our son and daughter in law remained in the original place. One of the best hotels we stayed at during our Slovenia trip. The on site restaurant was AMAZING - nearly all the food comes from the farm and it was delicious! Plus, the apartments on the property were HUGE - more than enough space! The staff were sooooo friendly! Hands down - wonderful place! The staff was terrifrcly friendly, the breakfast was awesome. Lovely place to stay for a vacation. Close to every thing. The hospitality and welcoming of the owner Sasha is unbelivable and great. I would recommend it to all of my freinds. Lovely family oriented staff with a welcoming attitude and ability to converse in multiple languages. The room was exceptionally clean and modern with all amenities. Locality to great restaurants was superb. Will stay again and certainly recommend to anyone asking. The accommodations were modern, clean and comfortable. Wonderful breakfast spread! Hostess was amazing, friendly and gracious! Turizem Loka Bed and Breakfast This rating is a reflection of how the property compares to the industry standard when it comes to price, facilities and services available. It's based on a self-evaluation by the property. Use this rating to help choose your stay! 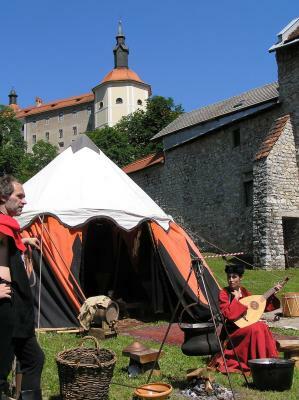 Located in the charming medieval city of Skofja Loka, 1,300 feet from the old town core, Turizem Loka Bed and Breakfast offers air-conditioned rooms, a spa area and free Wi-Fi. All rooms and apartments at Turizem Loka Bed and Breakfast have a private bathroom with a hairdryer and come equipped with a cable TV. A buffet breakfast is available every morning and you can also order packed lunches for your excursions. 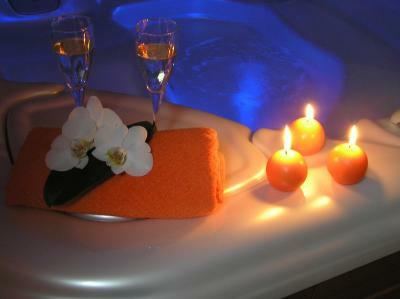 The inviting spa area includes a sauna, a hot tub and a relaxation room with loungers. Also the garden is a great place for unwinding when weather is nice. Sightseeing trips can be organized as well by Turizem Loka Bed and Breakfast. Ljubjana and Ljubjana Airport are about 12 mi away and an airport shuttle to and from the airport can be arranged at an extra cost. 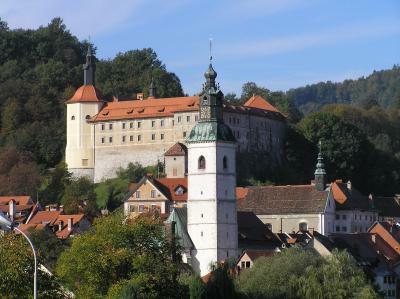 Skofja Loka Train Station is 1.2 mi away and the bus station is 1,300 feet from the property. The property offers a free shuttle service to and from the bus and train stations. The E61 Motorway is 7.5 mi away. Guests can go hiking, fishing, or go cycling on numerous cycling trails. 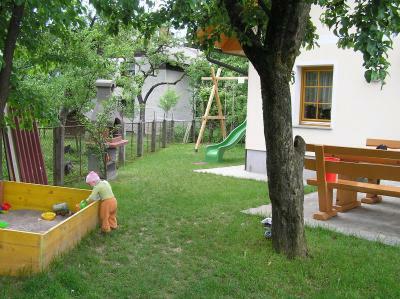 This property also has one of the top-rated locations in Škofja Loka! Guests are happier about it compared to other properties in the area. 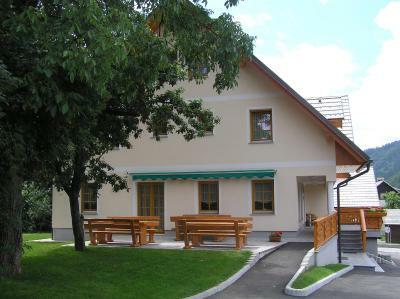 This property is also rated for the best value in Škofja Loka! Guests are getting more for their money when compared to other properties in this city. When would you like to stay at Turizem Loka Bed and Breakfast? Air-conditioned room featuring cable TV, mini-bar and safe. A private bathroom with a shower is provided. Air-conditioned apartment with 2 bedrooms, a kitchen with a dining area and a sofa bed, as well as a private bathroom with a shower. We are family accommodation with very good location, our own parking place, garden with children playground and many other things. We try to do everything that our guests are happy! 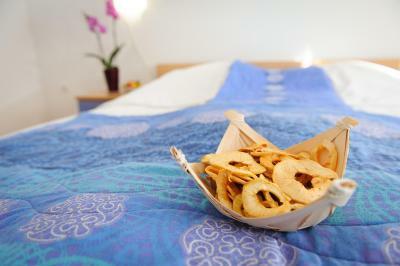 House Rules Turizem Loka Bed and Breakfast takes special requests – add in the next step! Turizem Loka Bed and Breakfast accepts these cards and reserves the right to temporarily hold an amount prior to arrival. Please inform Turizem Loka Bed and Breakfast of your expected arrival time in advance. You can use the Special Requests box when booking, or contact the property directly using the contact details in your confirmation. Shower curtain was dirty. Room decoration could be better. Friendly reception, happy to help and give advice. Breakfast was very good. The owner is a wonderful person. The place is warm and comfortable. Good location. The time we spent there!!! Was a short visit of just 4 days. Would return and recommend. There is nothing to fault in this visit. The hosts are very welcoming and make you feel very much at home. It is like visiting family. Anything we requested was catered for and were also well advised where to go eat and where to visit. Highly recommended without hesitation. Everything was fine! Good location (near to the city center), very kind staff, spacious and comfortable room with TV and full mini bar, delicious and various food to eat self service breakfast. It was a bit noisy, because our room was right near to the entrance. We felt very welcome, the owner was very kind. Beautiful home and lovely family! Loved the food , the owners were lovely, location perfect. Everything. The hotel itself is very warming and welcoming, you hace a parking space nearby and some bars. 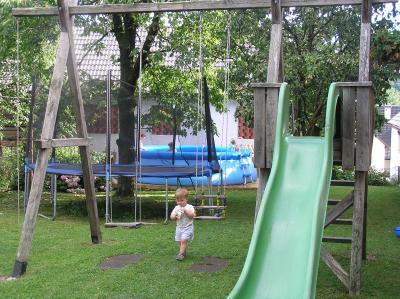 The owner, Sasha, is so nice and she can share with you a lot of information about various attractions in Slovenia. 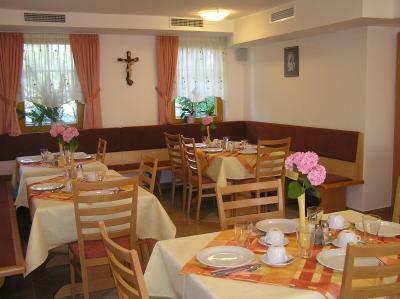 The breakfast was great, and the room was very nice and clean, and it felt like home. The kitchen was full of supplies and it was nice to eat in the main room. If you're wishing for a pleasant stay, this is the place for you!